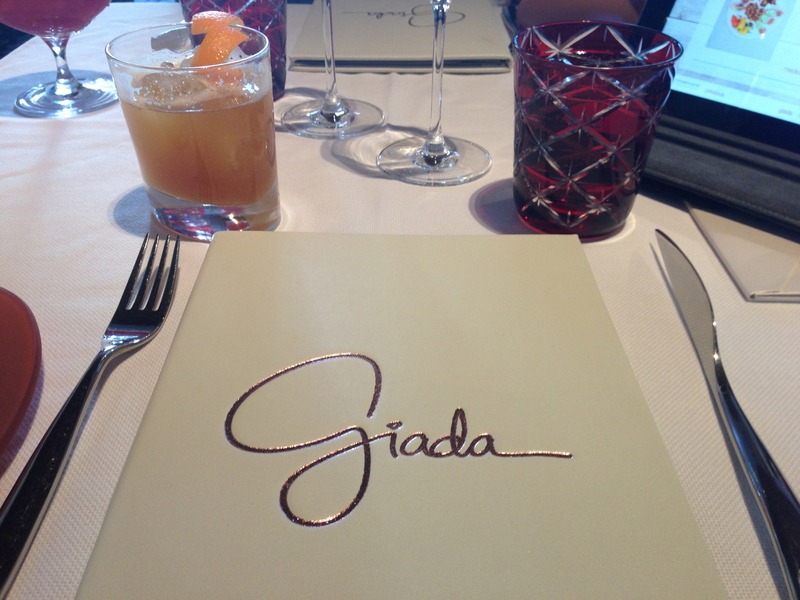 I will drive to Las Vegas just to eat at Giada’s new namesake restaurant again. I’ve been a fan of hers for years and years – she’s one of the reasons I seriously considered culinary school (and still dream about it). 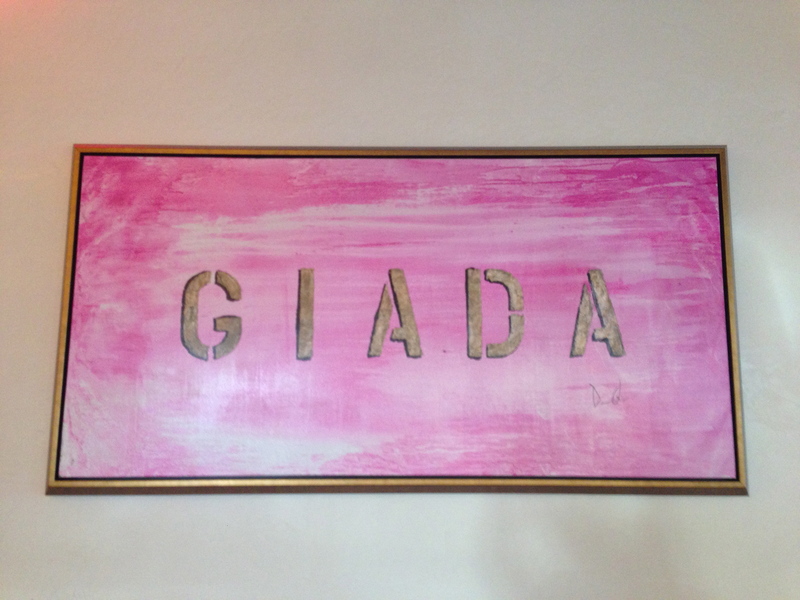 Giada (sometimes referred to as Giada Vegas) is located on the mezzanine level of the Cromwell Hotel. It’s absolutely flawless from the grand decor to the details of the glassware and the paintings on the wall. The cocktail and appetizer menu are on an iPad – which sounds slightly obnoxious but it was actually quite helpful as the photographs helped narrow down our choices. 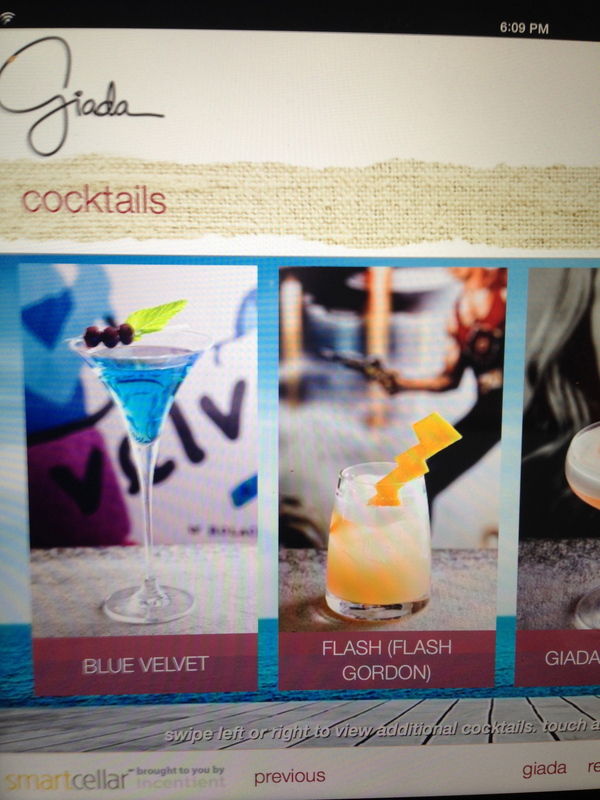 The Flash Gordon cocktail was delicious if you are a whiskey fan. 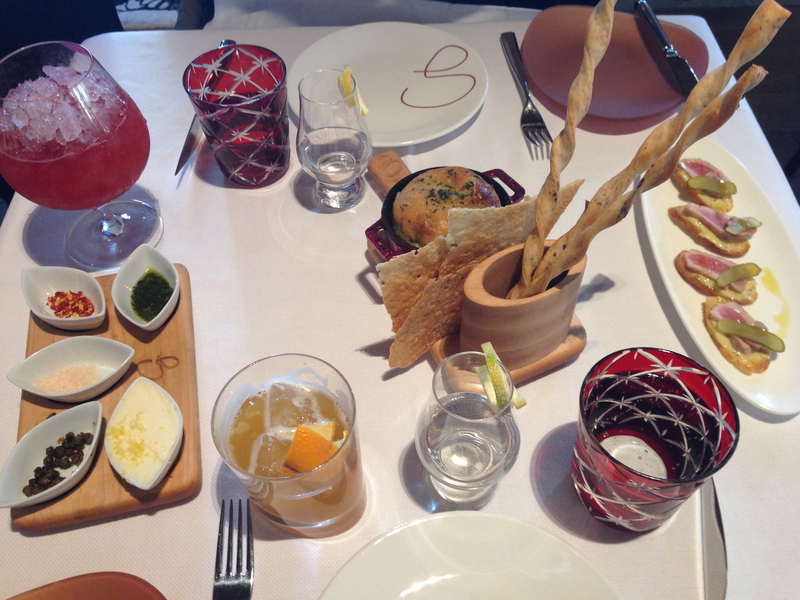 The bread basket had incredible focaccia in it’s own cute little pot, parmesean breadsticks and lemon thyme flatbread. The toppings/seasonings included dried capers, pink salt, and chili powder. The capers added a lovely little touch to each bite. The Vittelo Tonnato Crostini was to die for. Melts in your mouth goodness. 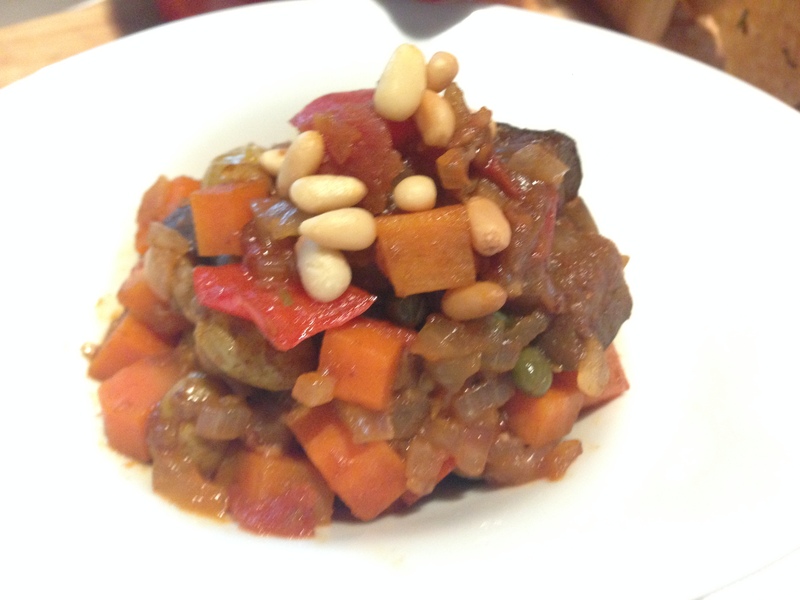 One of my favorite recipes of Giada’s is her Eggplant Caponata Picnic Sandwiches – so naturally I had to order the eggplant caponata. It was fresh tasting, tangy and just a tiny bit sour in a good way. Last but definitely not least – the lemon spaghetti. 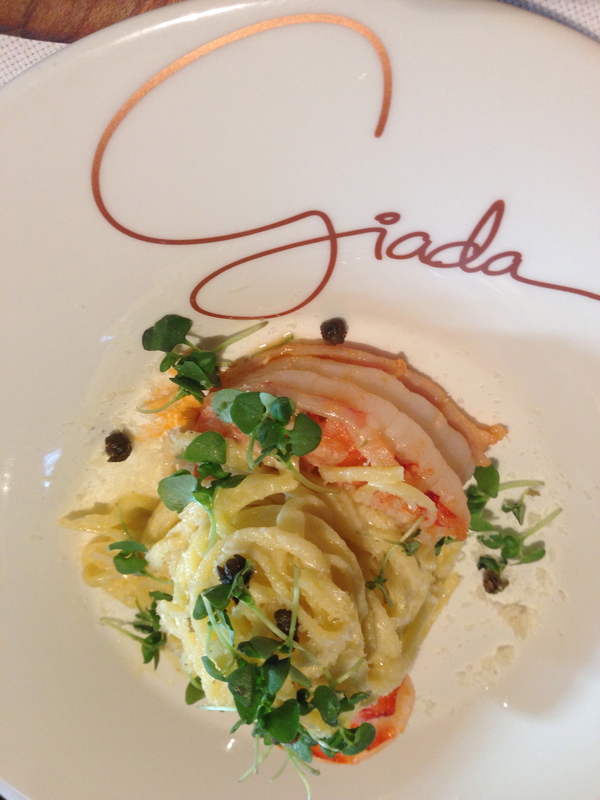 Probably one of the freshest and healthy tasting pasta dishes I’ve ever had. It was so delicious it inspired me to go home and make my own version. The prawns were gigantic and flavors were light. This is what summer tastes like. 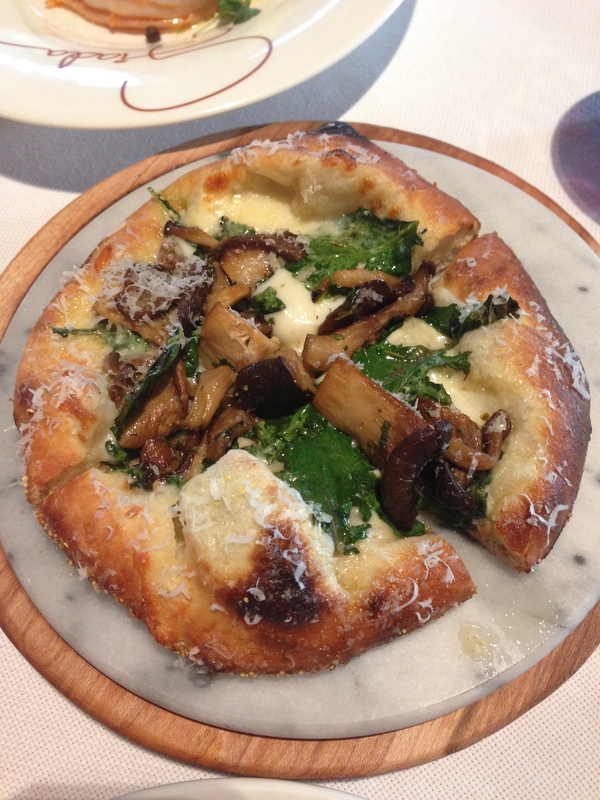 Lunch service started recently so I cannot wait to go back! 10 out of 10 stars.